“The Lakes” – need we say any more? 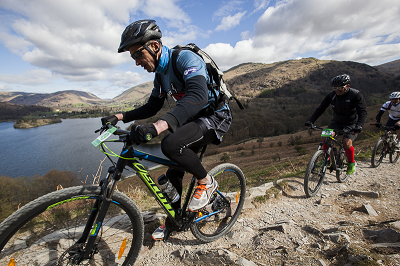 Beautiful scenery and rugged terrain combine to offer the ideal location for a challenge…. right on our doorstep! Our favourite challenge? That would be hiking and biking around nine lakes in nine hours. Did we mention we finish at the pub?! Arrival at the hotel in time for registration and bike fitting. Dinner at your leisure. The day begins with a safety briefing at the hotel, before heading off in our groups along a choice of routes for a 37km ride among the beautiful Lakes. Throughout the morning, we pass lines of dry-stone walls and sheep grazing in the fields, as we make our way up the challenging climbs and down the descents that the Lake District is renowned for. The transition area signals the end of the riding section, and our support crew will be on hand to serve you some well-earned refreshments to replenish your energy and prepare for the next stage of the challenge – the hike. 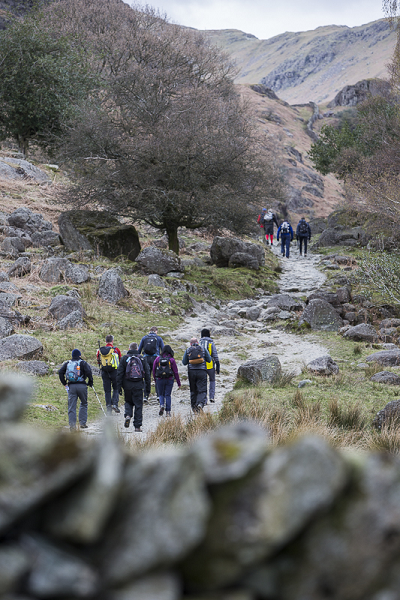 The hike itself will take around 4 or 5 hours, where we travel up and over the Langdales. Various route options will be offered, and you will be led in your group by an experienced local guide at all times. The summit is only half the story though, and so we take a longer, gradual descent towards the finish location at the Sticklebarn Tavern – the only pub run by the National Trust. After a final toast, everybody will be transported back to the hotel for showers and to get changed in time for the celebration meal!